Volt, it looks like that LED conversion kit suffers from the same problem all of them do. Your hotspot is gone, ruining distance vision, at least as far as I can see. Please post a comparison between a halogen 9006 and the LED, from about 5 feet away from a wall. It would be much appreciated, usually photos of just LEDs on their own tend to mask problems, or show problems that don't exist in real life. A comparison is the best way to see if they perform well. 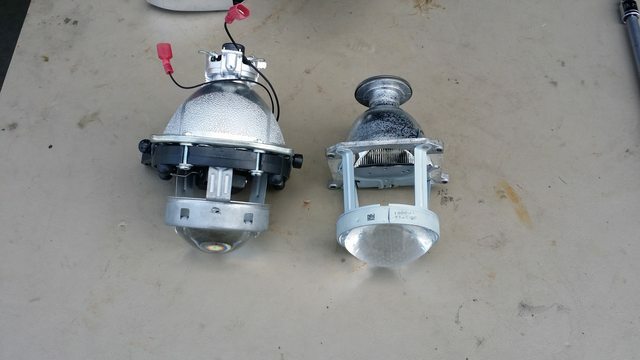 Now I am confused since there appears to be yet another manufacturer, Guangzhou Unipower Electronics Co., Ltd., offering the same type(s) LED headlights!? 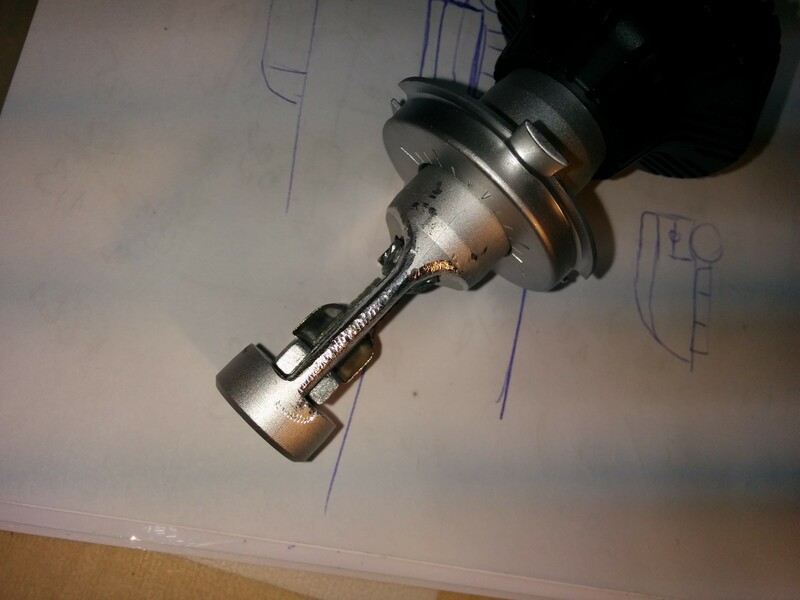 Volt, it looks like that LED conversion kit suffers from the same problem all of them do. Your hotspot is gone, ruining distance vision, at least as far as I can see. Sad part about the Chevy Volt is I never had a hotspot with the stock HIR2 bulbs either. Headlamps on the Volt are on the marginal to poor side! Thanks for your input. Maybe I should go back to 55W HID? Throwing more light through a bad headlight isn't going to make a bad headlight perform any better. It's like putting more oil in an engine with rod knock. Wow that G8 is a massive downgrade? http://imgur.com/lTzzfbu Sad part about the Chevy Volt is I never had a hotspot with the stock HIR2 bulbs either. Headlamps on the Volt are on the marginal to poor side! Thanks for your input. Maybe I should go back to 55W HID? That's a shame to hear they're bad in the first place. If you have a chance, do the same shot as you just linked but with one halogen and one LED bulb. And hey, one with HID would be cool too if you have the time. Generally we don't recommend 55W HIDs in halogen projectors. 55W HIDs burn bowls fast, making the projectors useless. A good quality 35W kit would be best. But if the headlights are bad, you might want to throw some good projectors in there and just have good lighting. Yes, although G8 does produce more lumen according to the Chinese manufacturer(s), it also contains moving parts aka a fan required for adequate cooling of the diodes that could fail=failed LED! Hence why I chose the G7 to test instead...afraid there isn't a simple solution for my poor headlamp design though! HID projector swap is likely the only cure, probably a Valeo halogen unit and I think some Valeo HID parts share the same mounting. Is it bi-halogen? If so it might be the same projector as on the GMC trucks which is sucky. G8 also has awful optics. No more emulated filament using a thin strip of small LEDs. Optics is king, not lumens. G7 at least attempts to copy halogen optics. Volt Gen1 owner linked above has retrofitted his headlamps successfully. Was hoping NOT having to crack open these sealed headlamps but I guess I would have to in order to improve them! Yea, bi-halogen. Probably the same projector as GMC pickups are using which is not very good for putting lots of light on the road. In fact I don't know where all the light from the bulb goes in those things, 1800 lumen from the 9012 bulb should be decent, 1500 from my H7's in my Celica with the old Halogen were better than the GMC truck headlights on my Boss's 14 Sierra! 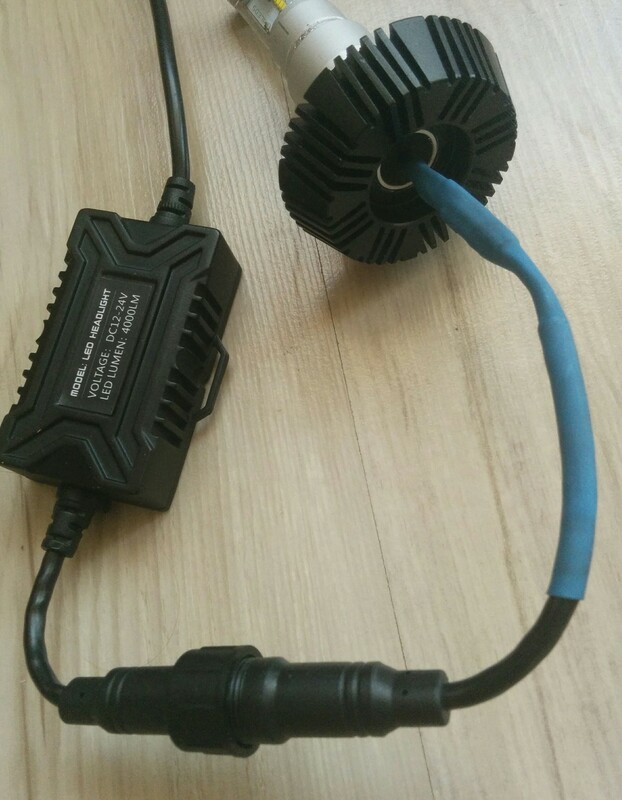 Disappointed about the quality of cn360 G7 wires. The wires between bulb and connector break easily, I had to cut them and solder them again. Got any pics of the modifications? This is the final position for light deflectors. 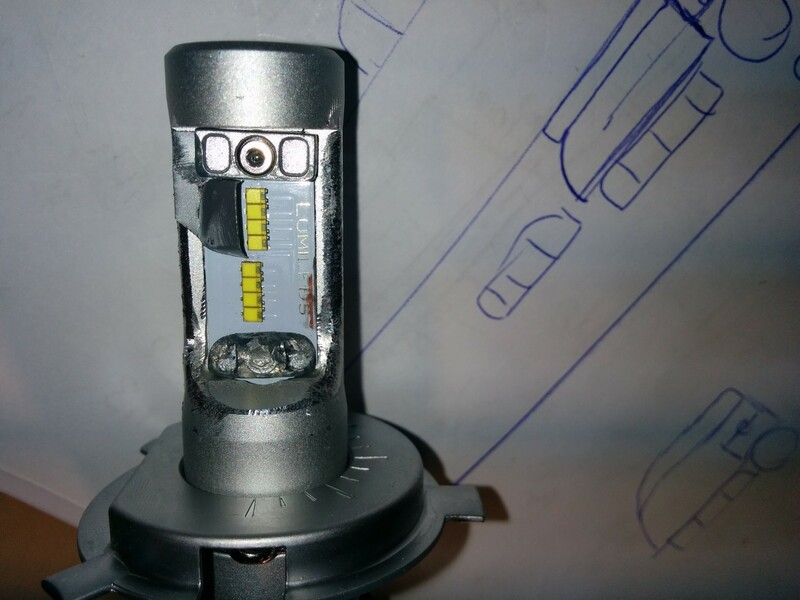 As you can see it is very close to a normal halogen light bulb. The rounded edges (bulb) is needed to decrease the dead spot. Now that the G8 is so last year...how 'bout the 'latest' 5S!? How will this bulb run if the headlight unit uses one H4 to do all 3 functions. DRL, Lo and Hi beam? Normally it'd run half voltage or so on the high beam filament for DRL purposes. Would this mean, the LED bulb will not light up, will be dim or throw up an error in Japanese cars that have this light setup?